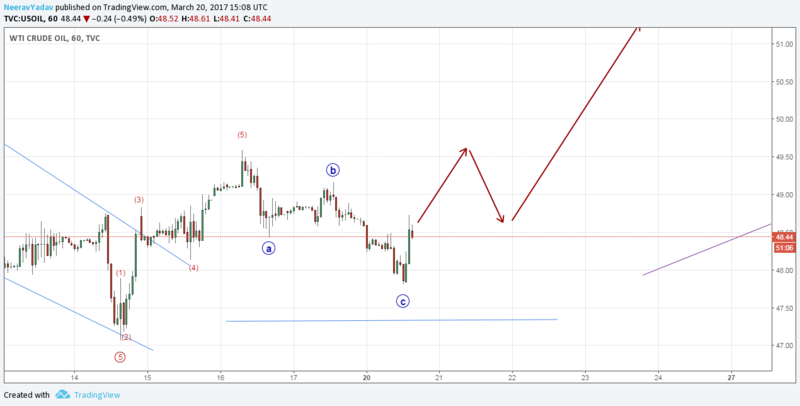 In the last update on Crude I discussed the possibility that a bottom might be forming, since then the market gave the 5th leg down and now to me it seems like the bottom has formed. I’m already long in this market and the SL is below the recent swing low. As this is the starting of a 3rd Wave hence I expect strong movements from here on. If this market moves as expected then I will look to add more to my positions. I will discuss the targets in a later post.